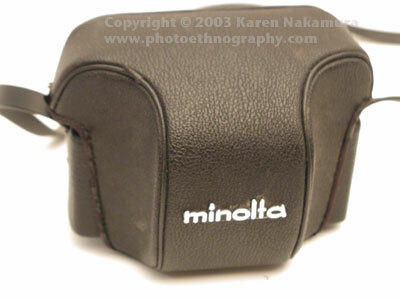 The Minolta Hi-Matic F is a small coupled-rangefinder, leaf-shuttered 35mm camera with program automatic exposure. 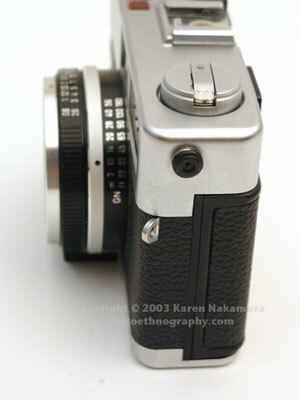 Released in 1972, it has a very sharp Rokkor 38mm f/2.7 coated lens (4 elements in 3 groups). Using the text or images on this website without permission on an ebay auction or any other site is a violation of federal law. 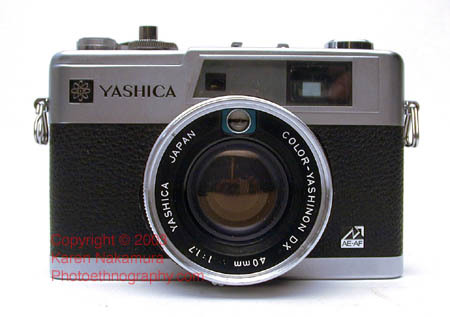 The rangefinder focusing mechanism is coincident image with a nice bright diamond shaped imaging area. 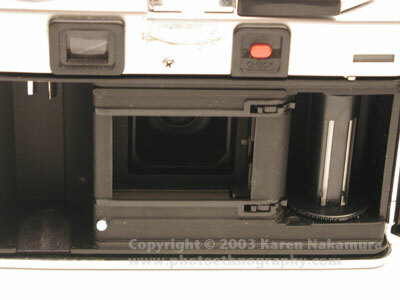 This unit's shutter is not working, most probably due to a loose solder connection. I ended up selling this camera on ebay (and yes, I noted all of the problems with it when listing it). 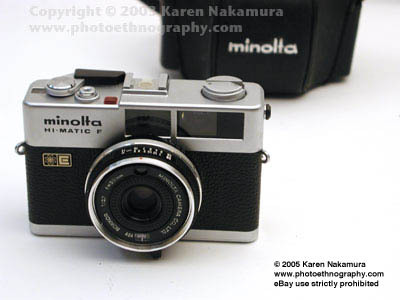 I'm convinced Yashica and Minolta must have been exchanging rangefinder design plans because the Hi-Matic F is a spitting image of the Yashica Electro GX. They have the same 'Atom' logo mark and even the battery check is in the same location. 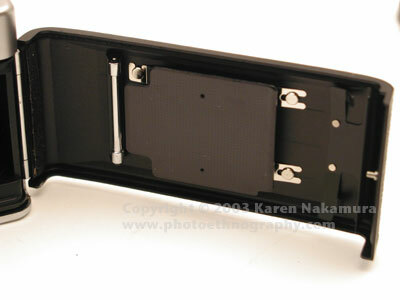 The Seiko ESL shutter is entirely stepless from 4 seconds to an oddball 1/724 sec. It's not TTL metering but ATL (above the lens) - the silicon cell is located on right above the lens on the lens mount, but it does a great job. 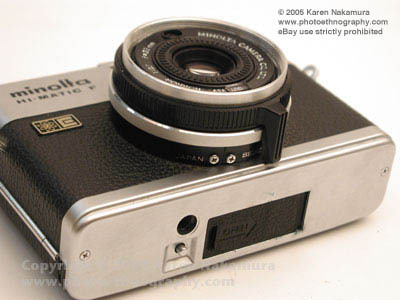 Because the silicon cell is right above the lens, you can use filters (including polarizing, etc.) without having to make filter corrections. 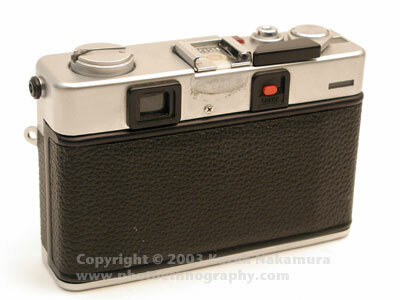 The camera uses discontinued 1.35v PX640 mercury batteries. I can get PX640s but they cost $15 each. There are alkaline PX640As, but they are $10 each at B&H. Instead, I'm using two LR44 1.55v alkaline batteries ($2-3 each) with a generous amount of tinfoil padding. It seems to work fine and it's what other people are doing with their Hi-matics. I'm surprised that this camera came with a PC connector as this is usually reserved for high-end cameras. It also has a guide-number feature for telling it about the flash unit installed. Apparently the soldering on the Hi-matics was bad and internal leads often separate from their connections. 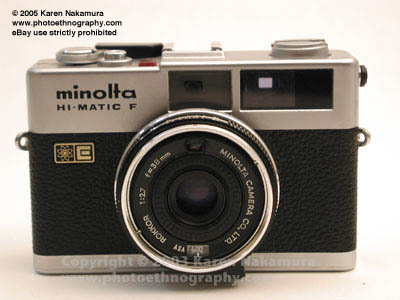 True to form, this Hi-Matic F's shutter is broken. The meter works and the battery-check functions fine. You can wind the camera and take a shot and it *sounds* like everything is working. When you point the camera to a bright area, it goes ZIP and in a dark room it goes ZEEEEP, just as it should. But the leaf shutter doesn't move. 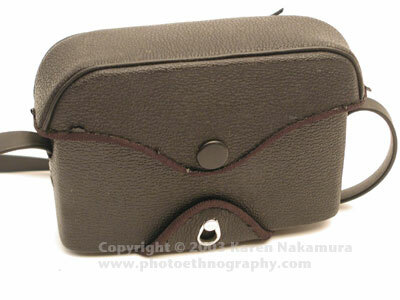 Seiko ESL Electronic Shutter 4 sec ~ 1/724 sec. Last modified: Thursday, 11-Mar-2010 00:56:09 EST , [an error occurred while processing this directive] .